Folklore are always fun choices for art. Since they are products of playful human minds, bringing them to life through drawings and paintings enables us to experience them without having to see them with our own very eyes. 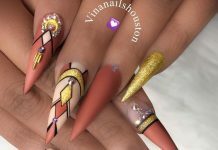 Challenging as it may seem, nail artists had found a way to showcase a favorite folklore of mine unto tiny nails, the mermaids. The basic color choices for this design are aquamarine, turquoise, pearl white, and yellow. Most of the designs show different takes of what is a mermaid including the most iconic disney version. 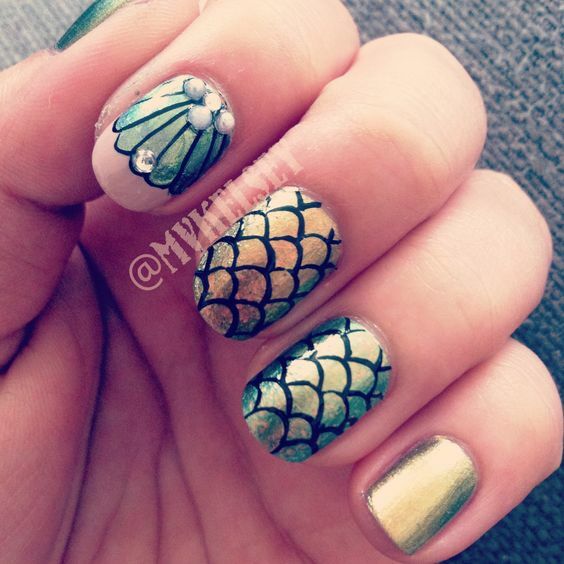 Some shows creativity only in scales, fins, and tail of a mermaid. 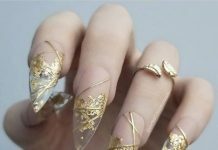 Sprinkled with the right amount of glitter, the designs shine like scales being hit by sunlight. If you look at the neat stuff I compiled for you below, wouldn’t you think my collection’s complete? I certainly won’t hope so since for me, it’s no big deal because I want more (wink). 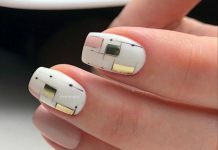 Here are the 40 Sophisticated Mermaid Nail Art Ideas to get you inspired by!